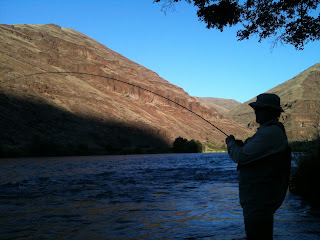 The Fly Fishing Shop: Now it is TIME!!! Trout are ready but not yet on top. Under the trees and tight to the bank, to the Redsides house we go!!! We told you it would not be long and it was not. The "Hatch" is here. This is what I know bugs are being taken well on the top to about South Junction. 10:30 to dark is best. Drops can be fun, but why... If you have to then Batman and Chubby Cousins are a great way to go. We have everything ready and stocked!!!! Come on in and let us get you what you need to get the most of your time on the water. We have the patterns you need! !